Many people are aware that stress can affect their gastrointestinal tract’s function. From suffering with diarrhea when you are stressed out to feeling butterflies and getting indigestion when you are nervous, anxiety can definitely do a number on your digestion. But did you know that more scientists are suggesting that the opposite may also be true? That’s right: good or bad digestion may add to a person’s anxiety, depression, and stress. How Can a Person’s Digestion Affect Their Mental Health? Scientists are discovering that having the proper gut flora (microbes such as bacteria, viruses, and fungi) contributes to normal brain function and also affects a person’s mental well-being. In fact, there is an exquisitely complex relationship between gut and brain health that travels both ways: they affect each other (G. De Palma, 2015). A person’s gut flora is seeded at birth, from microorganisms that are present in the mother’s birth canal. From there, it can be affected by many things, from the environment to the foods and other things that a person ingests. 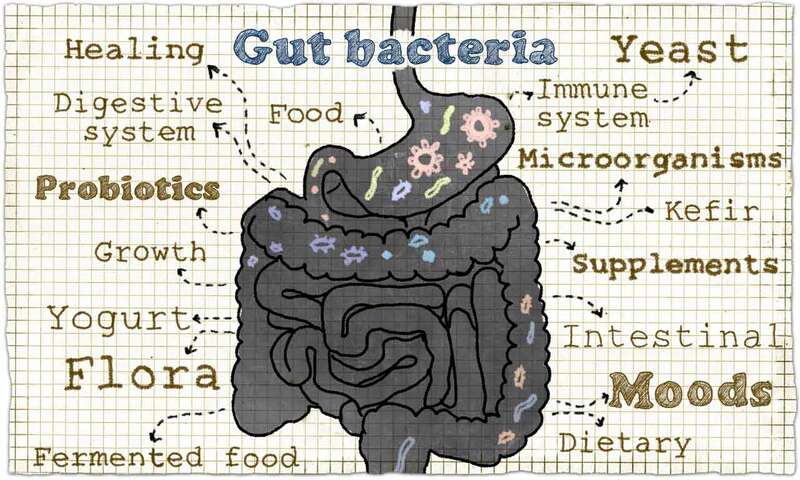 So how can you strengthen your gut flora in order to help maintain lower anxiety and depression levels? There are some things you should avoid and some things you should seek out. In addition to avoiding foods or substances that may harm your gut flora, you can actively work to improve it by introducing beneficial microorganisms into your body. While it’s best to get your good bacteria through the foods you eat, you may wish to use a probiotic supplement from time to time, as well, if it is difficult for you to fit good sources into your diet. As strange is it might seem, eating your way to good mental health may be just what the doctor ordered. I love Kimchi with a soft-boiled egg for breakfast. It gets me off to a great start!